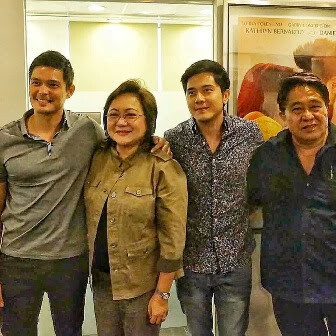 DINGDONG DANTES plays the role of King Raquim on GMA-7 in the remake of “Encantadia”, but on the big screen, he crosses over once again to Star Cinema, the film arm of ABS-CBN, in a new movie to be helmed by Maryo de los Reyes. It’s good Dingdong can work with other networks since GMA Network itself has no active film arm at the moment and just co-produces with other movie companies. He used to do movies with Director Erik Matti, like the “Tiktik, Aswang” franchise. But they since had a falling out after Matti’s “Honor Thy Father”, earlier promised to Dingdong, was suddenly reassigned to John Lloyd Cruz. In his new Star Cinema movie, Dingdong will be co-starring with Angelica Panganiban and former Kapuso colleague, Paulo Avelino. He has worked with Angelica before, who played his wife in “One More Try”, a Metro Manila Filmfest entry in 2012 which gave him the best actor award. Here’s wishing the new movie, whose very intriguing tentative title is “The Unmarried Wife”, will also be a winner like “One More Try”.